A beautiful, subtle chorus effect can be the difference between ‘magic’ and just another part. The PCM Native Chorus is the sound that gets you there. It’s been a mainstay of professional studios for decades and when you use this plug-in, you’ll hear why. The chorus effect emulates the sound of multiple instruments of the same type, or multiple singers, performing in unison. Chorus is used to thicken a sound and create movement. The Lexicon® Chorus algorithm brings this rich, lush, shimmering effect to life. 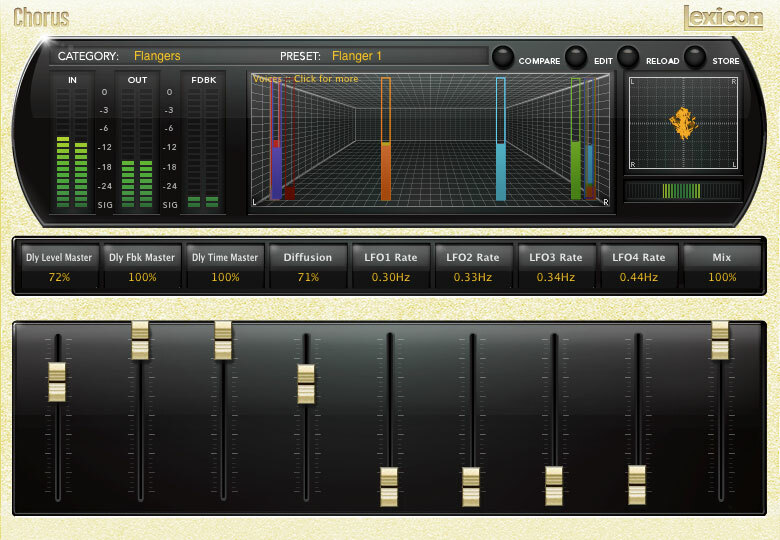 By using shorter delay times and introducing feedback, the Chorus algorithm can also generate flanging effects. The Chorus plug-in can be very effectively used on vocals, guitar, and any other instruments which have inherently long sustain. A ‘natural’ chorus sound is achieved by having multiple players or singers perform the same part, but with slight tuning variations. This effect has been present for centuries in popular music through the inherent nature of the piano and the performances of choirs, string sections and many others over the course of the years. The simulated chorus effect was first introduced by Hammond Organs in the 1930’s, but it didn’t truly become a mainstay as a stand-alone effect until the introduction of the Roland JC 120 in the 1970’s. Chorus became a staple of the Lexicon effects line in the 1980’s as part of many of our most famous pieces. The plug-in version keeps the same high standard as our hardware, and further adds to a great tradition of powerful, indispensible effects. The PCM Native Chorus is also available as part of the PCM Native Effects Bundle. 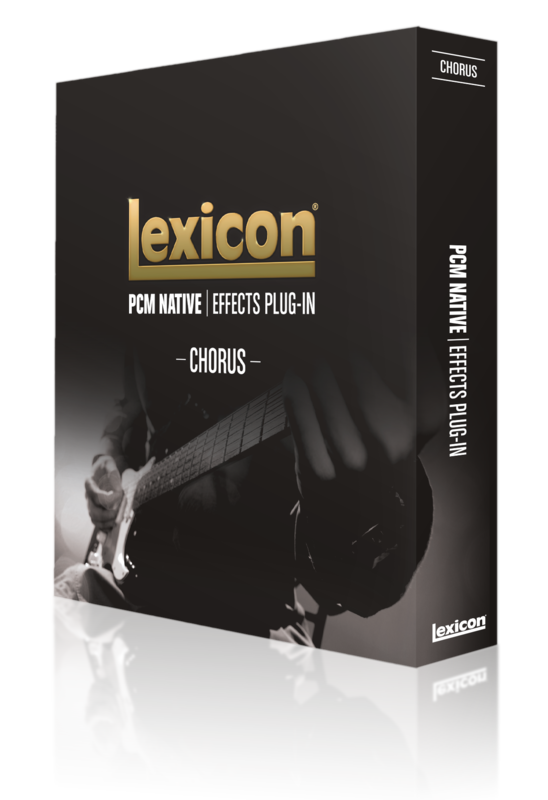 For other variations on Lexicon Chorus, please look at the PCM and MX hardware series.